Has BMW finally given us a crossover with style and substance? 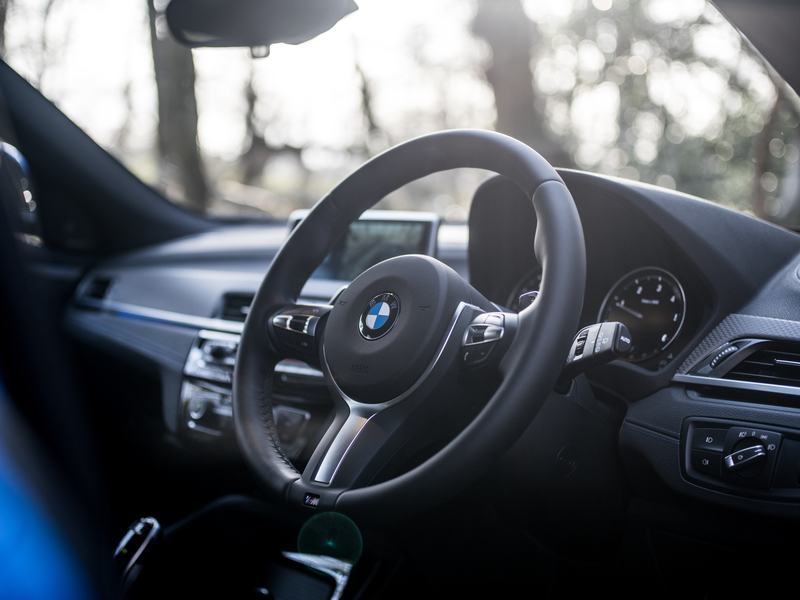 Back when the BMW X5 was launched in 1999, few would have predicted that, the best part of two decades later, SUVs would have taken over our roads, becoming the best-selling segment in the automotive market. 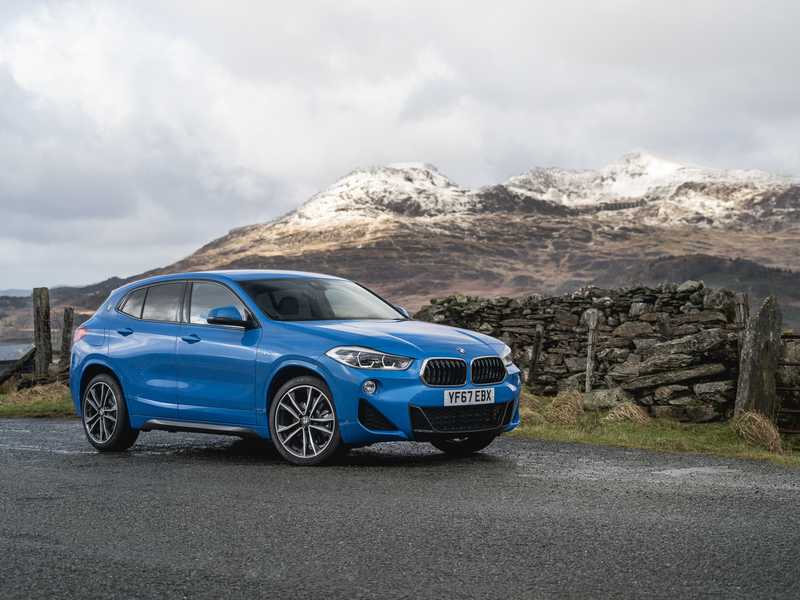 Not content with beginning our love affair with these behemoths, Munich has since been busy filling every conceivable niche in the SUV game and, with the arrival of the new BMW X2, it has finally completed the set 1 through 6. 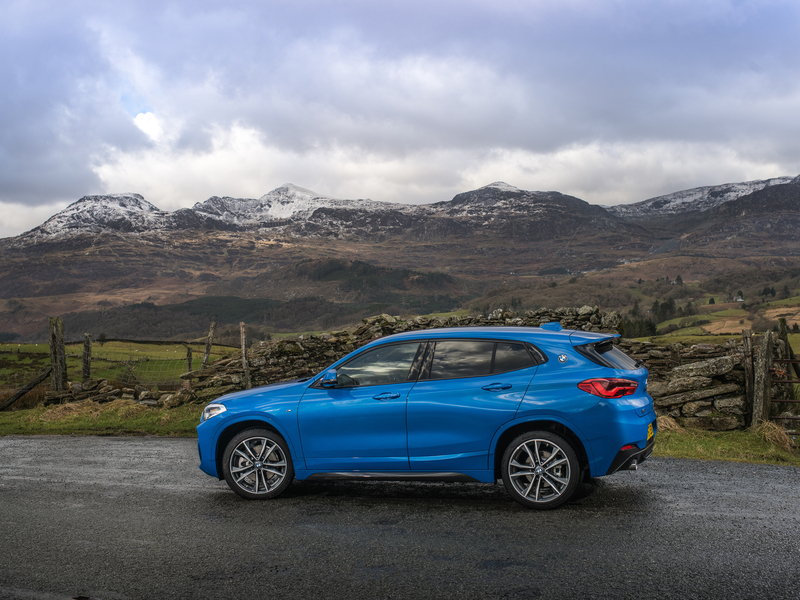 Unlike the X1 and X3 models that it slots between, the X2 is less of an SUV though and more of an urban crossover (akin to Stuttgart-based rival, the Mercedes-Benz GLA). 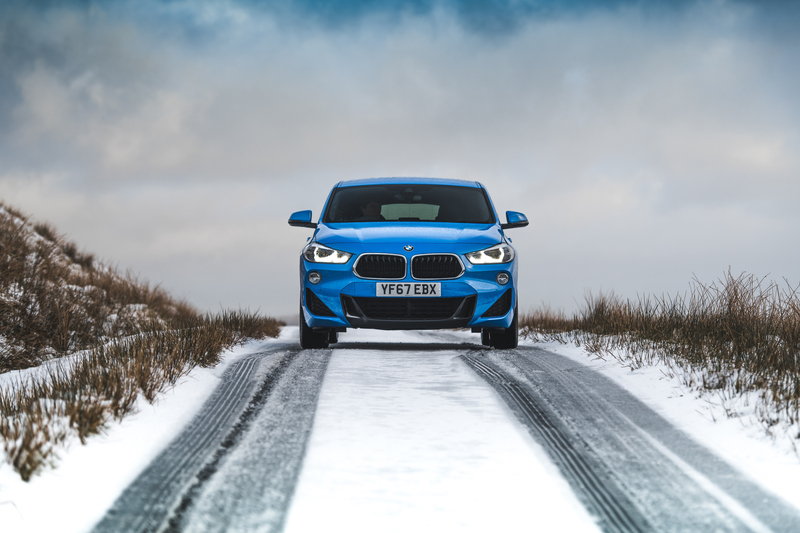 SUV or not, the X2 is a genuinely good-looking hunk of Bavarian metal, especially with the optional M Sport pack (which brings 20-inch alloys and dark ‘Shadow Grey’ accents to the exterior plastics). 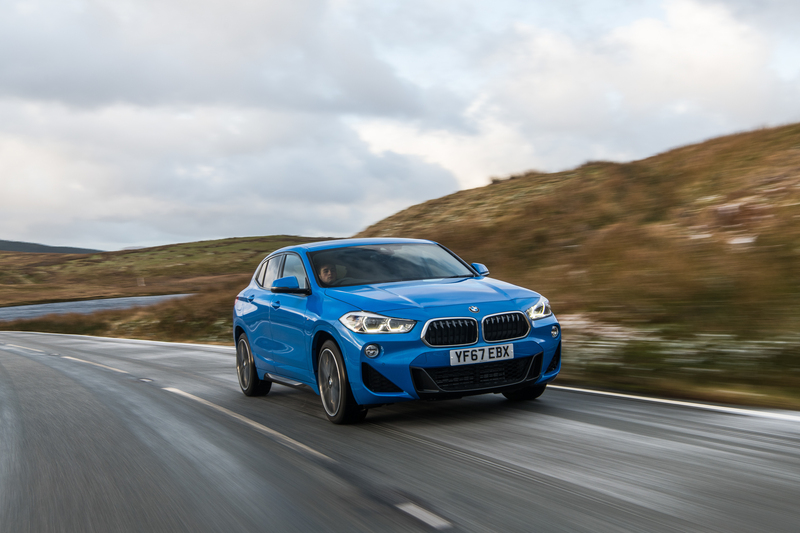 Surprisingly diminutive overall, the X2’s high waistline and low roof help bestow it with a relatively sporty demeanour, no doubt helped by the 10mm ride height drop of the optional M Sport suspension pack. At the front, there are a number of new styling touches that BMW will roll out across upcoming models (the trademark kidney grills now flare out at the bottom, rather than the top, for example) while, on the C-pillar, the addition of the BMW roundel is meant to evoke memories of the iconic 3.0 CSL of the 1970s. 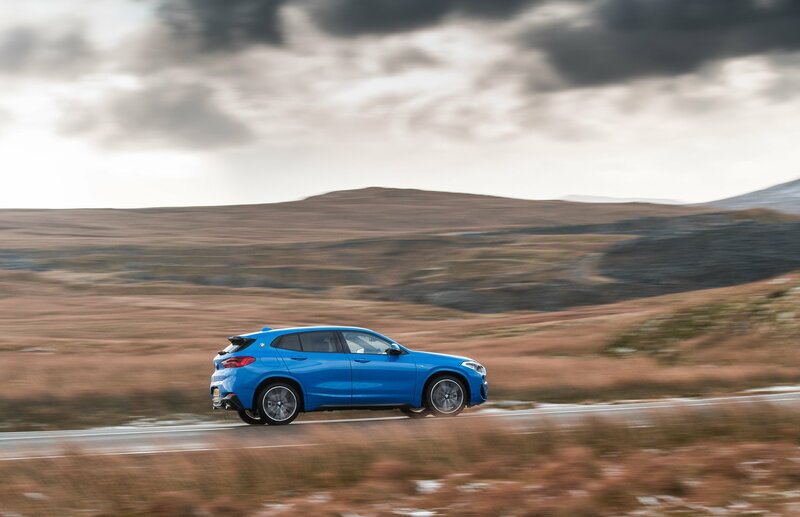 Unlike its bigger brothers in the BMW range – the X4 and X6 – the X2, thankfully, doesn’t get the awkward slant-backed styling treatment either. Instead, in keeping with its crossover status, it looks more like a mildly-jacked up 1-Series hatchback than a full-fat 4×4 with misplaced off-road aspirations. Actually, scratch that. 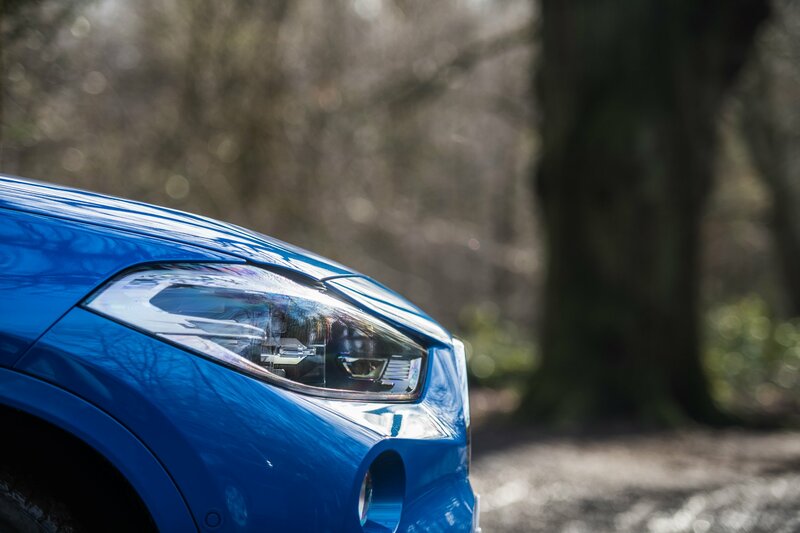 It’s better looking than a standard 1-Series, at least to our eyes. 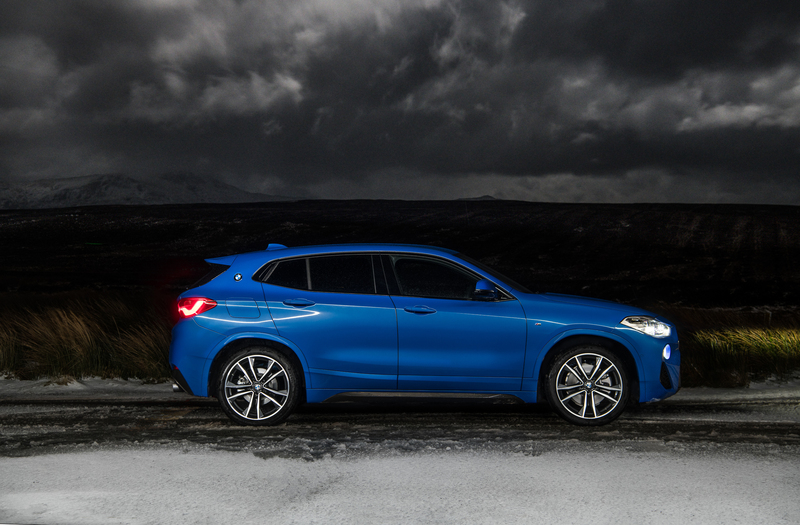 The styling department has, evidently, worked hard to ensure that the X2 doesn’t just look like any other stodgy school run SUV. 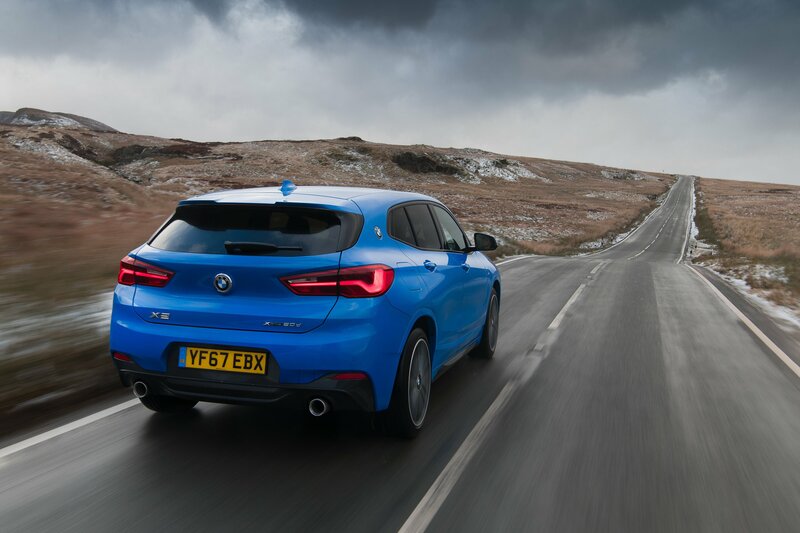 With that in mind, the BMW X2 comes loaded with the full complement BMW Connected Drive services that we were first introduced to last year in the 7 and 5 Series. That means a 6.5-inch infotainment screen complete with real-time traffic updates, Apple CarPlay and Connected+ features like the ‘Share Live Trip Status’ function that allows business partners, friends or family to know your current location. There’s also the option of a full-colour HUD although, intriguingly for a car pitched partially on its technological prowess, you can’t control the infotainment system with the gesture controls in the X2. 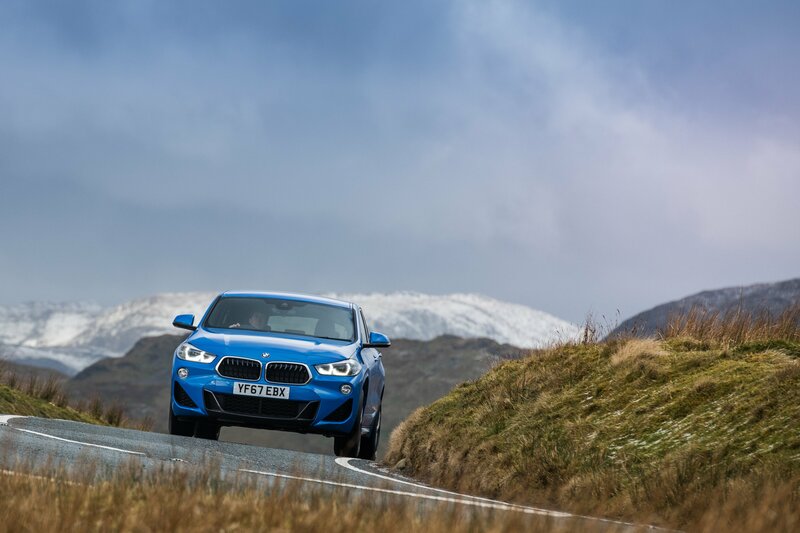 Interestingly, even on our £45,000-plus test car (a pretty much fully-loaded X2 xDrive20d M Sport), BMW’s raft of well-executed autonomous functions don’t feature as standard either. To get the likes of radar-assisted cruise and lane keep assist you’ll need to opt for the ironically-named ‘Driver Pack’. On all but the base SE spec, LED lights come as standard though while, inside, there’s the option of an ambient lighting pack that can bathe the doors and instrument cluster in a range of millennial-friendly hues. 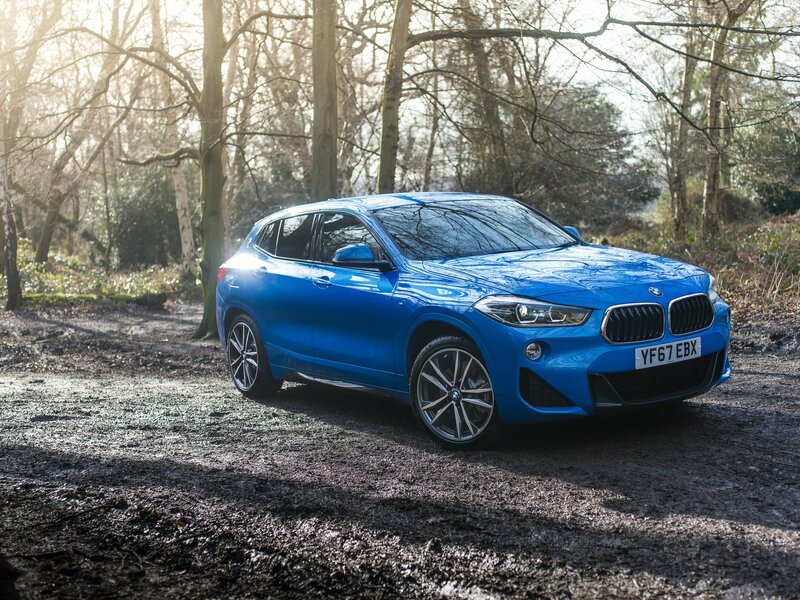 Although based on the X1, BMW is at pains to explain this is not just another soft-roader, to the extent that they’d rather we considered the new X2 as more of a warm hatch than a mini SUV. 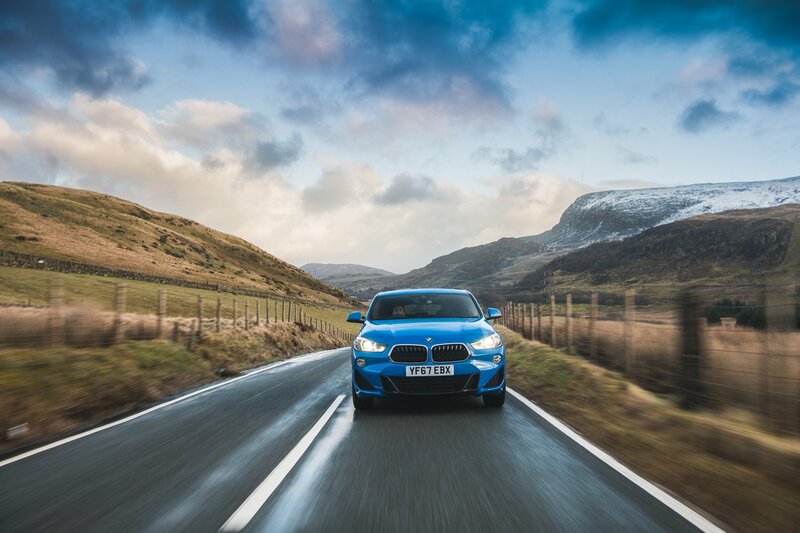 The aforementioned M Sport suspension lowers everything by 10mm while there’s also the option of adaptive dampers (which can be switched between normal and sports modes via the ‘Driving Experience Control’ switch). 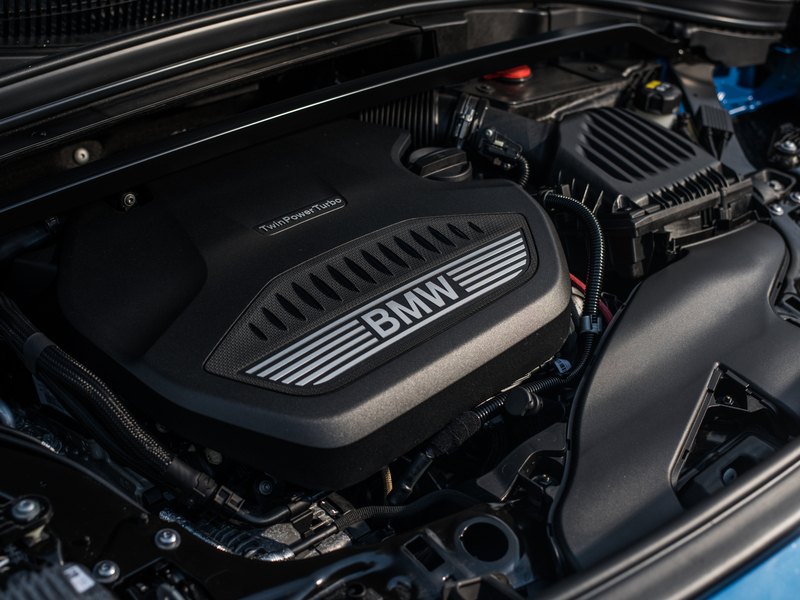 On the engine front, only one model is coming to the UK initially, the xDrive20d. This brings four-wheel drive (though most of the time, 70 per cent of the work is done by the front) and a turbocharged diesel four-pot putting out 190hp and 400Nm of twist. In due course, a two-wheel version of the 20i petrol powerplant will be added to the line-up, shortly followed by a more frugal 18d diesel (also to be offered in two and four-wheel drive flavours). Providing the link between all these engine and drivetrain combinations is the job of an eight-speed auto ‘box. 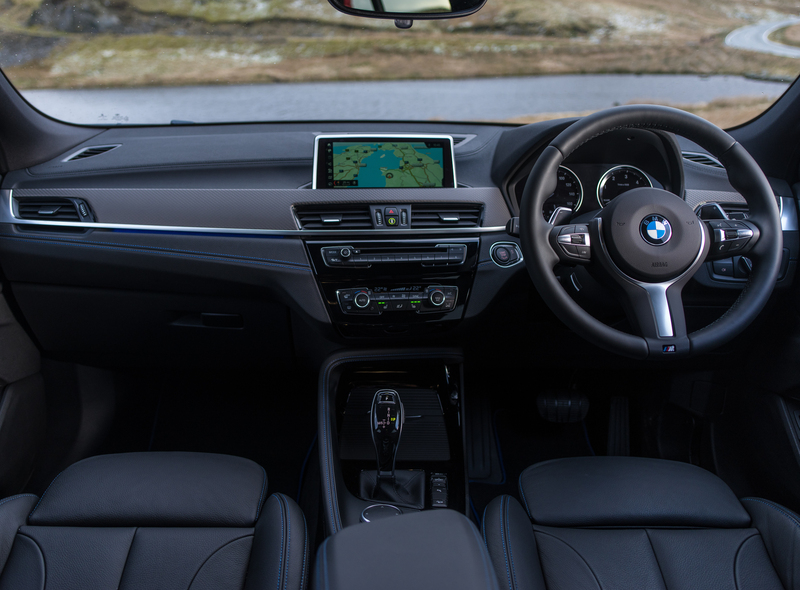 For a car that looks relatively small from the outside, the BMW X2 has a Tardis-like interior, no doubt helped by a heavily-sloped dashboard that accentuates the feeling of space when looking out across the front. Unlike other small SUVs (sorry, SACs) it doesn’t feel like you’re sitting atop a small building in the X2. Instead, while more elevated than a standard hatchback, the driving position is more semi- than fully-commanding. However, in true BMW fashion, it’s almost infinitely adjustable, allowing pretty much anyone to get comfortable behind the wheel. Out in the wild, the X2 certainly doesn’t feel like a typical crossover. 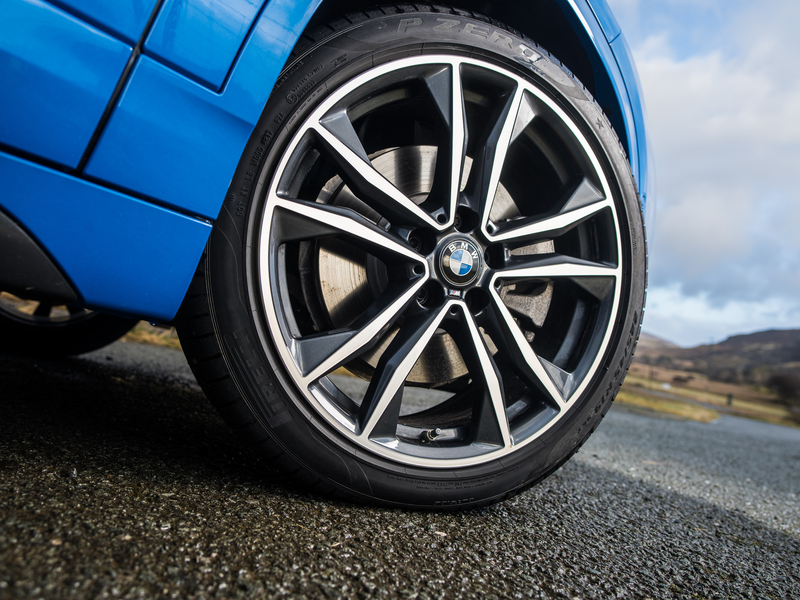 Turn in is sharp and the chassis is incredibly composed, with that idiosyncratic level of control that seems to run throughout all of BMW’s cars. It is not, however, a hot hatch. Or even a warm one. While its agility is certainly surprising, the BMX X2 doesn’t possess the lively or enthusiastic spirit that is shared among the most entertaining hatchbacks. 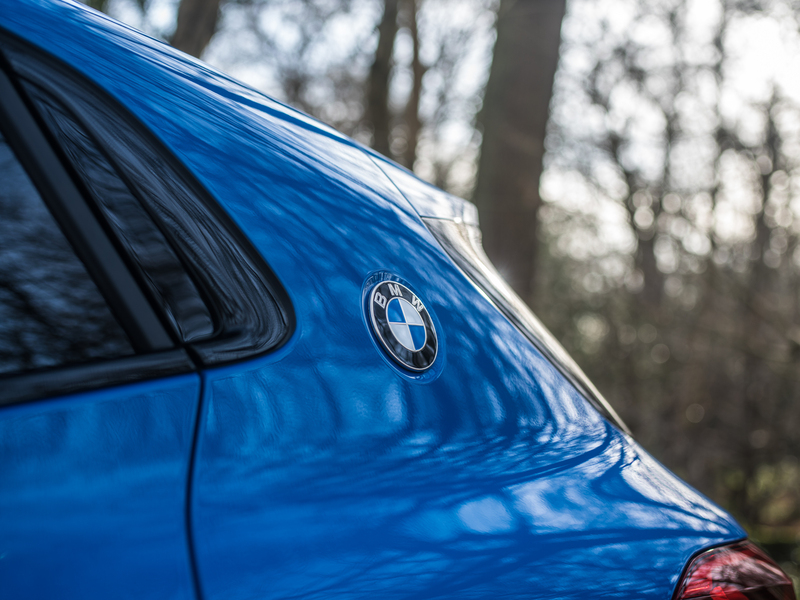 The steering, while well weighted, doesn’t provide a huge amount of feel and the four-wheel drive system is very evidently biased towards the front (something that feels very out of place in a car bearing the legendary Bavarian roundel on the bonnet). Objectively, it’s a very well-polished platform (that will likely please the majority of X2 buyers) but, for out-and-out driving nuts like us, it’s not enough to truly get our juices flowing. Do we perfectly match the target demographic though? Probably not. What did impress us is the quality and composure of the ride (yes, we’re obviously getting old!) 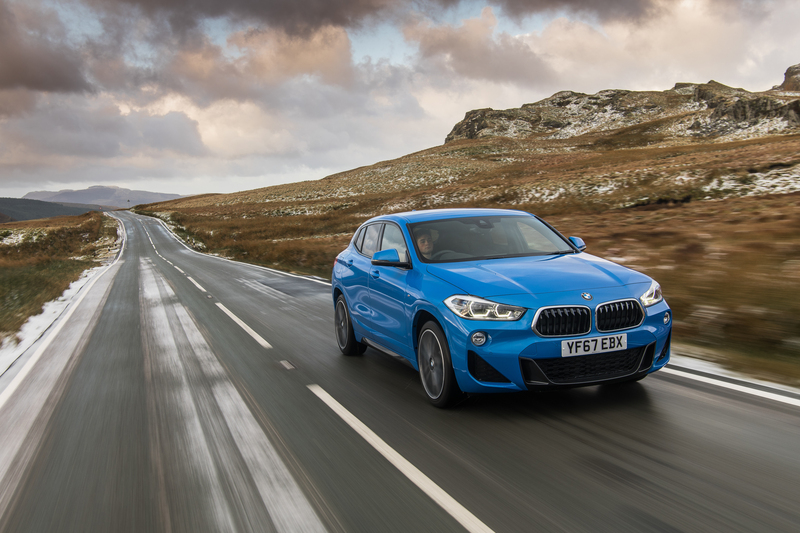 Even on the optional 20-inch rims, the X2 is able to glide over all but the roughest tarmac. Surprisingly, Sport mode (often bone-shatteringly stiff on many adaptive systems) isn’t too harsh to upset the interior equilibrium either. You can easily tick of 200 miles without realising, helped by the relative lack of cabin noise. 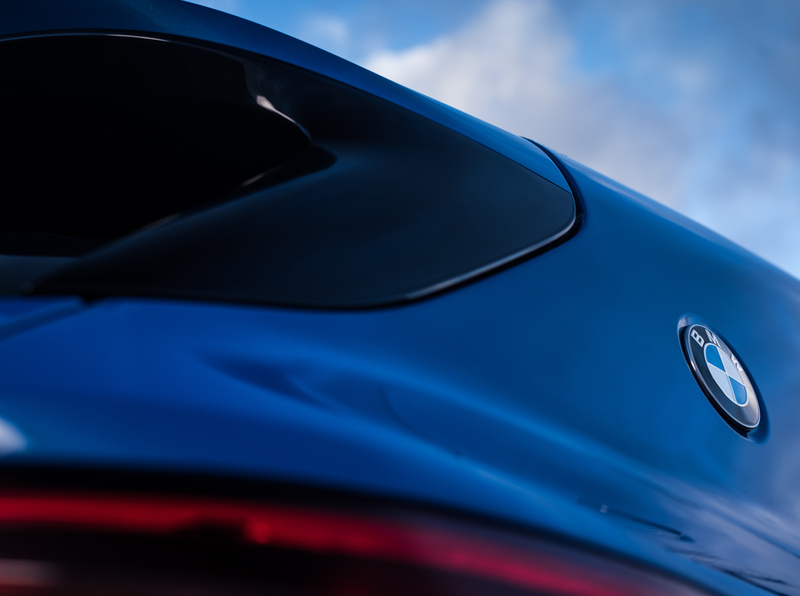 For a four-pot oil burner, the 2.0-litre motor is incredibly smooth and refined too, especially when paired to the slick shifting automatic gearbox. Where it loses out however, is in the performance stakes. Despite the claims of 190hp and 400Nm of torque, the 20d only just feels fast enough for modern traffic. Overtaking slower cars requires you to eke out every last ounce to get by at a fair lick. 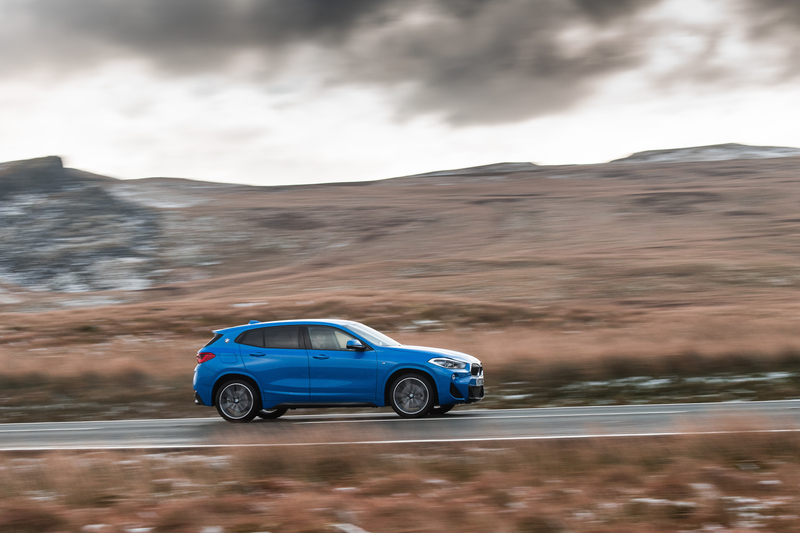 Again, will it matter to most of the BMW X2’s potential buyers? 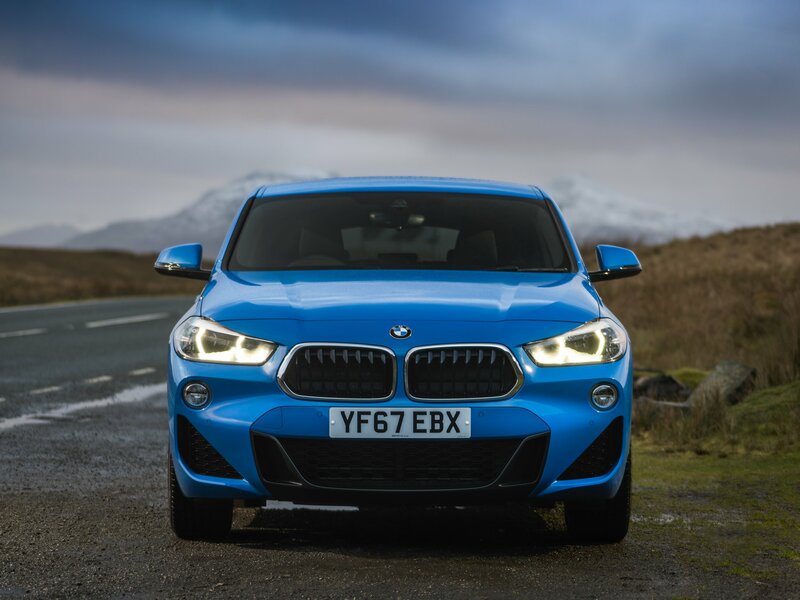 Probably not but, compared to its rivals, the BMW does feel lethargic. Based off the looks alone, BMW’s prediction that it will sell just 6,000 units in the UK seems unnecessarily conservative. 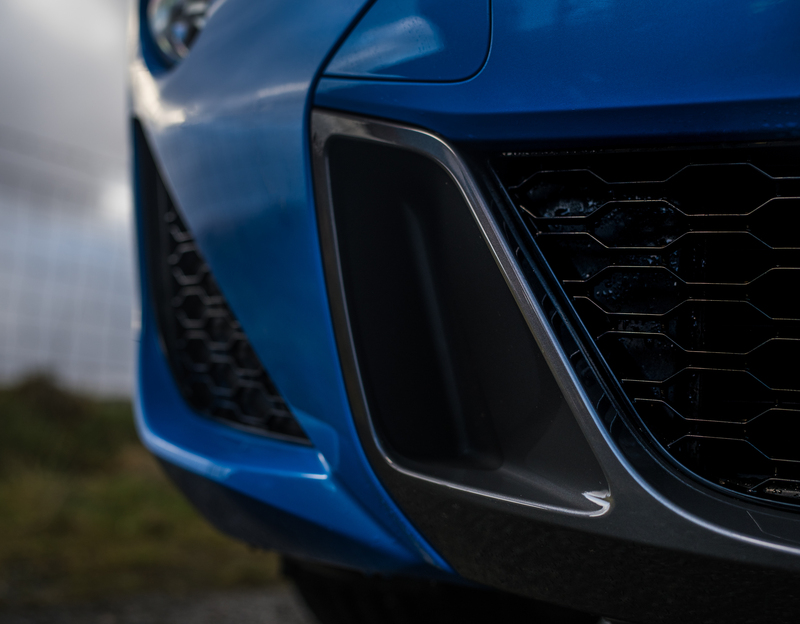 A five-figure haul wouldn’t seem unachievable for a car that seems to offer up almost everything the current market is craving (albeit for with a premium price tag attached). 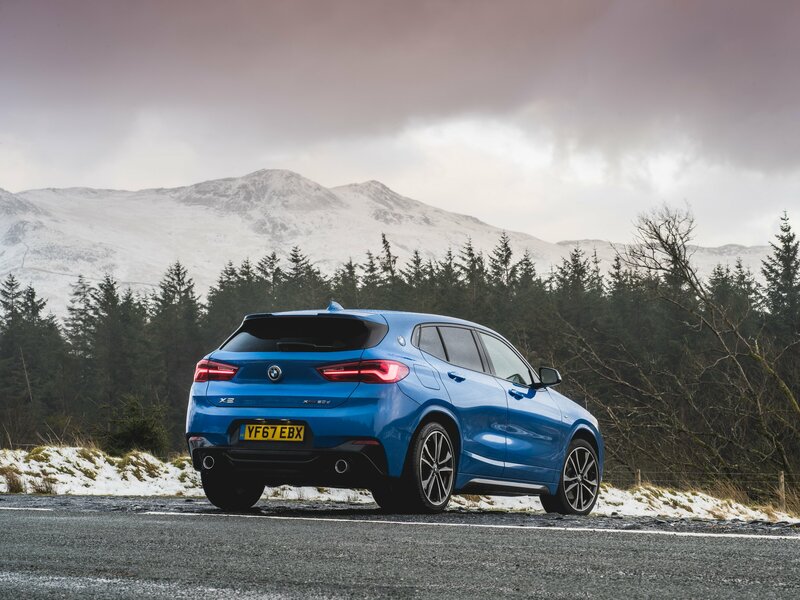 However, while the X2 undoubtedly provides a well-polished experience behind the wheel, it inherently lacks any discernible dynamic character. It’s not quite a case of style over substance, but it isn’t far off.